moments to complete. 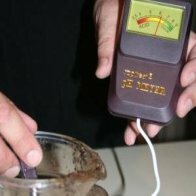 There are two primary soil testing options available that will give you instant results. 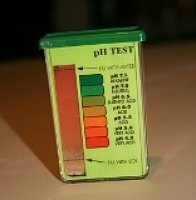 These are the soil pH tester and the pH meter. 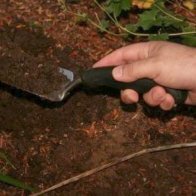 Both are reliable enough to give you a good idea of whether your soil tends toward alkaline soil or acid soil. 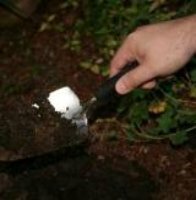 Below are the step by step instructions for using these two soil test kit options. 2. 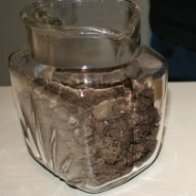 Place crumbled soil into a clean container. 3. 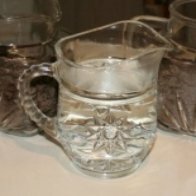 Fill a clean glass or plastic container with about two cups of distilled water. 4. 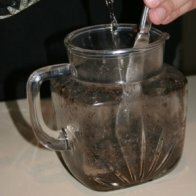 Add the soil sample to the glass container with water and mix soil and water. 5. 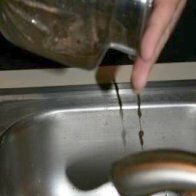 Drain off any excess water. 6. 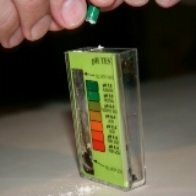 Push the ph tester vertically into the moistened soil and wait for approximately 60 seconds. 7. 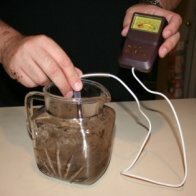 The meter will display the approximate pH value of your soil on the meter display. 2. 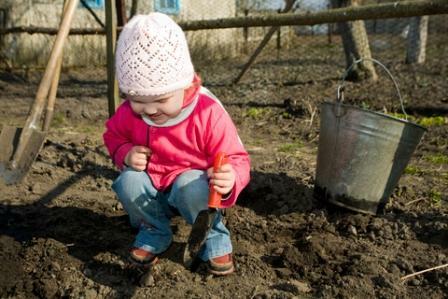 Pick out any stones or twigs from your soil sample. 3. Add a small amount of soil in the bottom of the test chamber (to the left side of the pictured vial). 4. 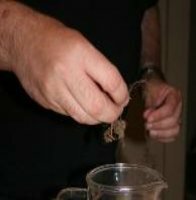 Holding the small capsule of universal indicator horizontally over the test chamber, add the indicator to the soil. 5. Add distilled water with a dropper to the top of the test chamber. 6. Shake the contents of the test vial until thoroughly mixed. 7. 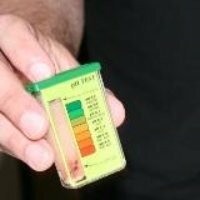 Compare the color of the solution to the color chart provided with the kit, usually on the front of the vial. The color chart will be marked with the pH value by color. 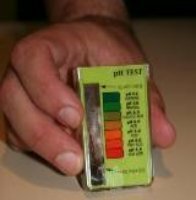 Soil test kits are a simple, quick method to obtain the key information about the soil pH level of your soil. 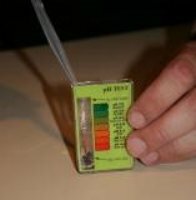 This piece of critical information allows can help you make appropriate plant choices that will be nourished well by your acidic or alkaline soil.